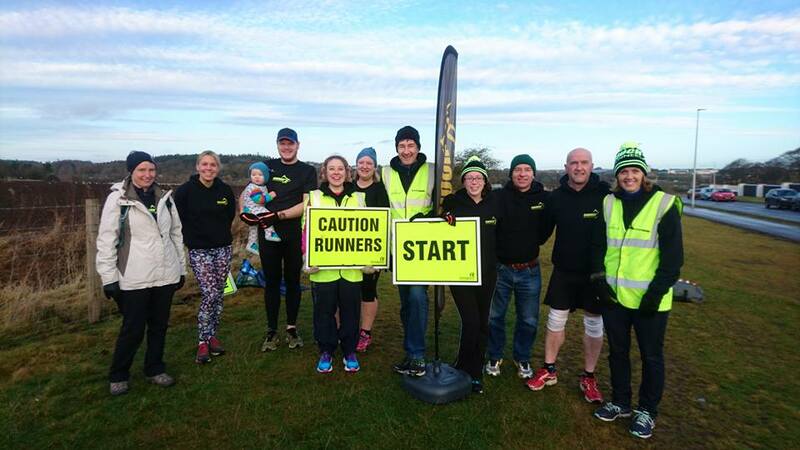 We’re a road, hill and cross-country running club based in Inverurie, Aberdeenshire, catering for runners of all ages and standards. We’re based at the Garioch Sports Centre in Inverurie in the winter and out and about in Aberdeenshire in the summer. We have two club runs per week, at 6.35pm on Tuesdays and Thursdays throughout the year, rain (or snow) or shine. Have a look at our calendar to see what we’re up to in the next wee while. We run because we love the sport, we love the outdoors and we enjoy the buzz of the odd race or two. We also love running with other friendly people who love running – something that’s very important on cold, dark, rainy winter runs! New members can come along and see what we’re about on any club night. No matter how slow (or fast) you run, someone will be looking out for you. Just get in touch with one of us in advance to let us know you’re coming. So if you’re out running on your own in Inverurie, Oldmeldrum, Rothienorman or anywhere else – why not join us?